When it come to certain topics we go out and find knowledgeable instructors to share their expertise with you. 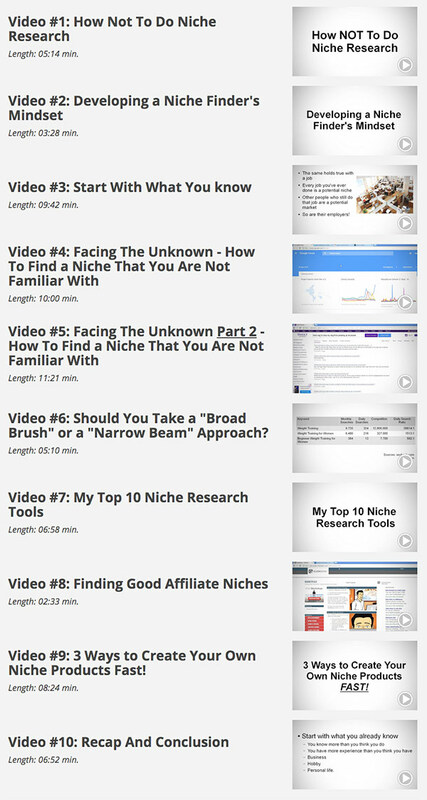 10 HOT Video Tutorials Showing You Powerful Niche Marketing Tactics..."
I recorded 10 exclusive, step-by-step video tutorials that'll show you the tools, techniques and my top tips on niche marketing. You can get instant access to all 10 video tutorials for just a measly $97.00 $47.00! Video 06: Board Approach or Narrow Approach Which is Best For You?